Tomoya Okazaki had finally entered his last year of school. It couldn't come fast enough for him. Generally viewed as a delinquent, Tomoya spends his days slacking off and doing nothing in particular. Nothing like studying anyway. Aside from Ryou (possibly the only delinquent worse than Tomoya) he doesn't have any friends either. All that changes one day when on the way to school he encounters an odd girl named Nagisa. Later that day he sees the girl sitting by herself and decides to start up a conversation. Nagisa is often sickly, and had to repeat a year due to falling ill. Still she would like nothing better to do than join the drama club. 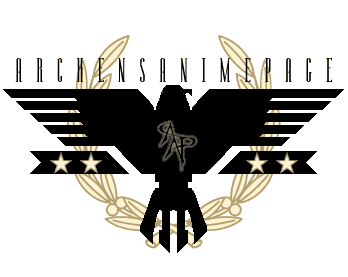 Unfortunately it disbanded and would have to be reformed (a lot of work). Tomoya offers to help Nagisa, and the two quickly become friends. While trying to form the drama club, the two end up meeting new friends and also find new challenges. Up until now Tomoya never had any purpose in his life and drifted aimlessly. Yet with each day he spends with Nagisa and the rest of his friends, he's finding that maybe life may have bigger and better things in store for him. 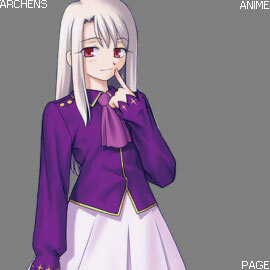 It didn't take long for me to realize that this was based off a visual novel with one of those multi-girl choice plots. These titles feel obligated to expand on each girl, but never focus enough on anything. The general result is bland, which is why I expected to hate Clannad. While I started with a bad feeling getting into this, by the end I was impressed with an anime that managed to find a formula for this genre and made it work. The easiest way to do this review is to follow through the 4 major parts of Clannad. The first part is the introduction phase. We start off with Tomoya meeting the various characters (mostly female), and immediately the anime starts off with various gimmicks. I was prepared to write off the show at this point, but it tones it down once the bigger stories move in. What first anchored me to this series is Tomoya's pranks. They're not an over the top gag, but instead a clever attempt at mischief to get some laughs, and sometimes they even backfire on him. It's down to earth comedy that's hard to get right, but well worth the effort when it works - as it generally did here. Fuko's story: By this point there is an established core group in the anime. It's looks perilously like a harem anime, but instead it felt more like a circle of friends, and I thought that was pretty cool. The focus then goes to Fuko, and her desire to get people to attend her sister's wedding. It's a nice story, but went on for about two episodes too long and felt like it was trying a little too hard to get to your emptions. Notably this story has a sad conclusion. Not the sort of fluff I was expecting at all. And Clannad isn't even half done. Kotomi's story: Katomi is a genius recluse that hangs out in the library by herself. On occasion Tomoya visits with her, and decides that she can help form the drama club. The interesting thing about Kotomi is that she's socially inept, but doesn't STAY that way, and actually evolves. Tomoya decides that she needs to try to make friends. As they rehearse, she gets better and better at speaking with people, she was just a bit out of practice. Kotomi's story is interesting tale about friends pulling together that worked fairly well, but the drawback here is that the background plot was... pretty dumb. At this point the anime takes a breather. Nearly all the girls had been taking an interest in Tomoya. Nagisa is briefly taken out of the picture, the anime has some fun with the idea before promptly snuffing out any hopes Tomoya will be with anyone but Nagisa at the end, in one clean stroke. This is a good example of how focused this anime can be. When it wants to do something, does so with flawless execution. Finally things move towards the final story that centers around Nagisa. Through all of this we see her character actually develop, but we see Tomoya develop too. And of course, the would be romance, the struggles to get the drama club off the ground and all that. This also turned into a pretty good story, although like the others; a bit far fetched with the ending. After the final climax, Clannad gives us a fun fluff episode that goes into the relationship between the two... which hasn't progressed even to the hand holding stage. I'm not sure if this is a trend in anime, but adding these lighter ending episodes is somewhat of a relief to me. It's cute and I'm glad they did it. But wait, Clannad also has a single episode OVA tacked onto the end of this series (included on the dvd). While I thought that Clannad was good by this point, I thought the final OVA episode was amazing. 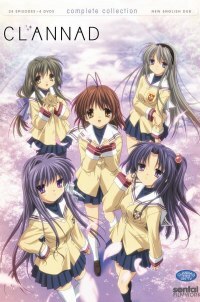 The OVA goes into Tomoyo's story in the visual novel. Note that Tomoyo spelled with an 'o' is a girl not to be confused with Tomoya who is the main male character. It's an alternate story where the two are dating and completely separate from the rest of Clannad. It's a charming piece that highlights the struggle of Tomoya with his bad reputation. And then... there is an absolutely crushing breakup. For a series I would expect to be winding down, it's pretty daring to push something like this in a half an hour segment. But they did, and it was just totally awesome. It can't however stand on it's own since that would require character development, but the TV series already did that for us - a clever way to leverage characters we already know. While not totally unpredictable, this is the sort of great romance I wish I could see more in anime. The snow scene was just so beutiful. Yes I loved it that much, get off my case. Clannad managed to beat my expectations by a fair margin. For a title that isn't action based, even the animation was impressive at times and certain parts had colors so vibrant you feel tempted to pause the show just to look at it. It's not without it's pitfalls. It would overuse a gag or two, and the story dragged in places, among a few other minor problems. 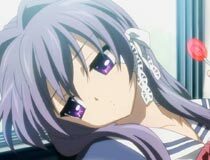 Still I found Clannad to be well worth watching. It's not for everyone, but I feel this title is the sort that naturally finds its audience. If you're unsure but keep watching, by the end I'm sure you'll find you enjoyed it. Other people feel indifferent about it and lose interest. Odd as this is to say, give it a shot and see if you keep watching. Akio: It's not there so just go back to making out in the bedroom or whatever you kid's do these days. Huh? what am I saying?! I shouldn't encourage that!